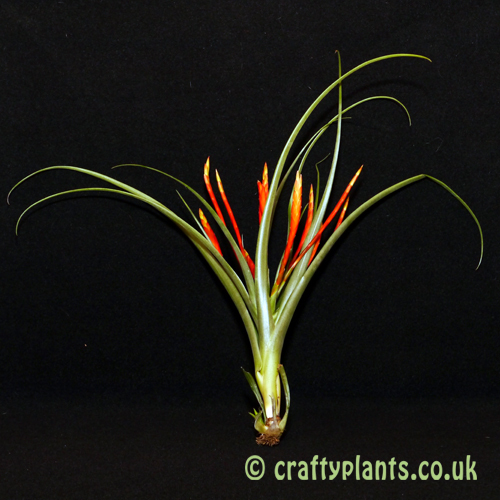 An exceptional airplant species, Tillandsia Flabellata produces a wonderful multi stemmed coral coloured floral bract with violet flowers. 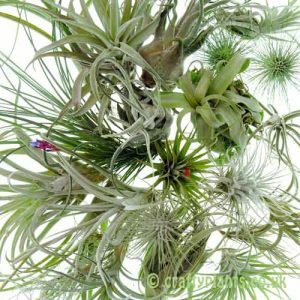 Like Tillandsia Cyanea this airplant variety can be grown quite happily as an epiphyte, although it is more common place to put Tillandsia Flabellata into a free draining compost and grow it as a pot plant. 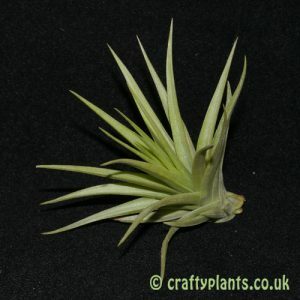 When grown as an epiphyte, it is important to ensure that Tillandsia Flabellata has somewhere moist to root, such as moist sphagnum moss attached to cork bark. This helps to ensure that any roots stay moist. 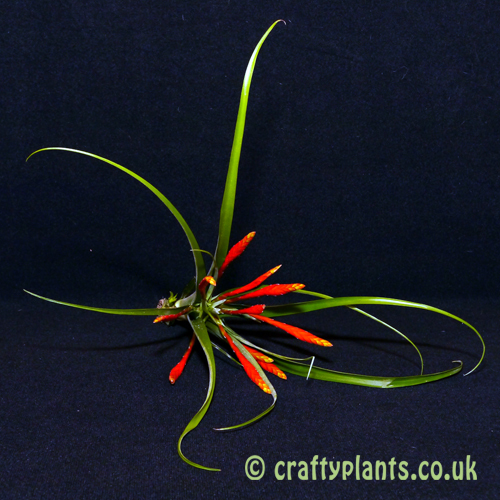 Supplied potted in 5.5cm pots. My plant, which is grown in a small pot, reminds me of a firework display. The green leaves arch outwards and the flower bracts (I have nine) shoot up like starbursts with little violet sparkles. 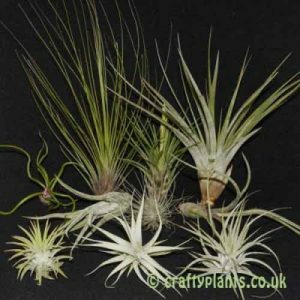 A great plant from Craftyplants. After it flowered it produced 3 pups which I detached. All are doing well and one now has 6 flower bracts and about to produce flowers. The mother plant is looking a bit tatty but with a little bit of luck will give me 4 more pups before her demise. 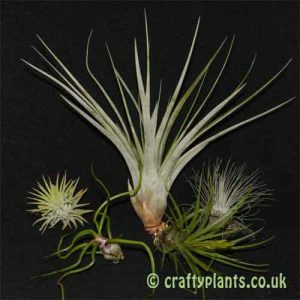 A great deal from Craftyplants!